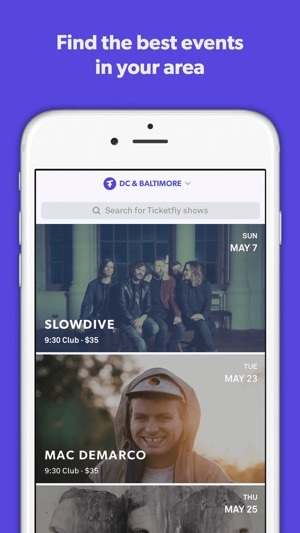 With the Ticketfly app you can search, browse, and buy tickets for concerts, festivals, comedy shows, and other local live events. 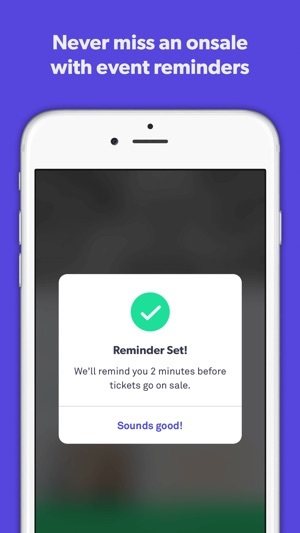 Purchase tickets in as little as two taps, and store them right in the app for easy access when you need them. 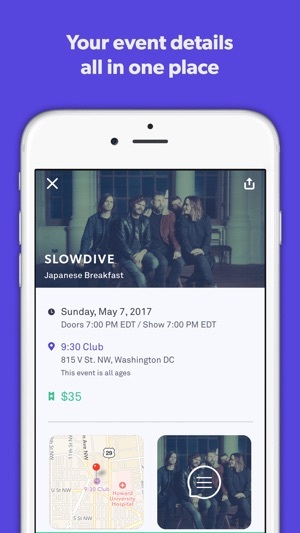 A subsidiary of Pandora Media Inc., Ticketfly makes it easy to discover and buy tickets to your favorite shows. 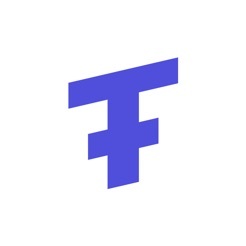 Over 1,200 leading venues and promoters across North America have partnered with Ticketfly to power their events, including Merriweather Post Pavilion, the Brooklyn Bowl, Central Park SummerStage, Pitchfork Music Festival, and Austin City Limits Live. 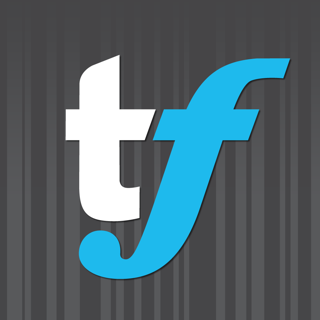 I use TicketFly a lot. So I got the app thinking it would be easier to buy tix and it would help me be aware of shows I might like to see and keep my tickets handy. Why is there no “favorites” function? Maybe I find a show but don’t want the ticket right now. Also, I’d like to put in artists I like and get notifications when they’re in my area and tix are on sale. What about favorite venues? When I searched for shows in my area lots of shows didn’t come up. If I searched for a specific show like Marc Broussard in DC, for example, it came up. I hope the developer sees the suggestions in some of the reviews and improves the app. Look at Fandango. They’ve got it down. Thanks. 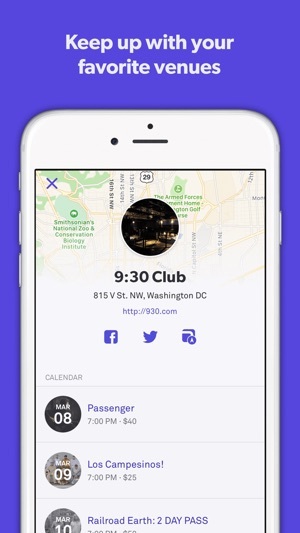 Overall, this is a pretty good app. 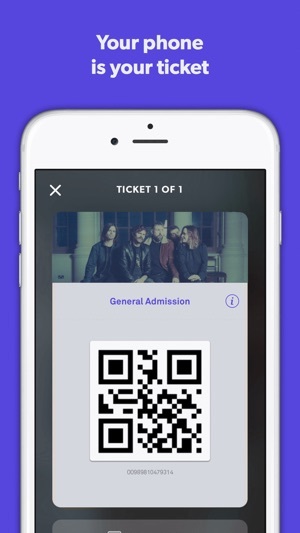 However, I really only use this app for showing my digital ticket at the door because I hate spending time in apps that are not optimized for the iPhone X display. The iPhone X was released a year ago. I’m now typing this review on an iPhone XS and the app still isn’t optimized for this display. As a professional iOS developer, I can say from experience that optimizing an app for the iPhone X display is super easy. I mean just really, really easy. The fact that this developer still hasn’t done it after an entire year of the iPhone X being out is just sad. Fees are lower than Ticketmaster, and the general buying experience is a lot better, especially for sold out or GA shows. I just wish they would fix their upcoming shows feature and search. It makes no sense that I have to type in the entire name of an artist to get their concert to show up. Shouldn't all be shows just be listed in the calendar? Also, glad that they added a ticket transfer feature. That's a lifesaver.